Time and history: a short definition could read that “history” is the study of continuity and change over time, but what is time? Time is simultaneously an everyday practical consideration as well as a complex and abstract concept. People originally tracked time by observing the passage of seasons and other elements of nature, but by the modern era, increasingly complex schedules required precise measurement of the hours and minutes in the day, creating the need for clocks and watches. 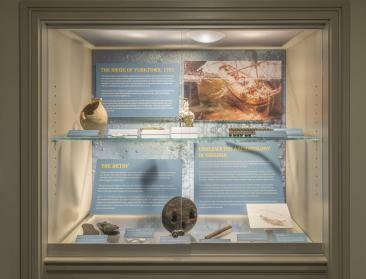 The pieces in this small display are examples of the time keeping devices within the collections of the Virginia Historical Society. What is technology? At the root of the word is the Greek term, techne, meaning “art, skill, trade, craft,” but a more contemporary definition was provided by sociologist Read Bain who wrote in 1937 that, “Technology includes all tools, machines, utensils, weapons, instruments, housing, clothing, communicating and transporting devices and the skills by which we produce and use them.” Although today the word technology most often implies the use of computers, Bain’s definition reminds us that technological innovation has been occurring since the dawn of humanity. When prehistoric people learned how to control fire they created a technology that allowed them to stay warm, see in the dark, and cook food, making it easier to digest. During thousands of years since the advent of stone tools, successive waves of technology have ushered in agricultural, industrial, and digital revolutions that drastically altered the way people live and work. The items displayed here are a small sample of the things that made those changes possible. Some were profound in their impact while others were mere novelties, but no matter how dated they look to us today, they were once considered the cutting edge. British General Charles Cornwallis, trapped at Yorktown by American troops under the Marquis de Lafayette, joined by the army of George Washington and the French Admiral de Grasse’s 3,000 troops, decided to sink his own fleet in order to produce wreckage that would protect against attack from the French fleet. The Betsy was one of those ships. It was excavated in the 1980s through the efforts of the Virginia Historic Landmarks Commission. No weapons, except for one gun carriage, were found on the ship, but many supplies were there. These included more than 10,000 musket balls, small and large barrels, beams, pieces of hull, planks, bottles, jars, ceramics, furniture pieces, and personal items such as shoes and buttons. This exhibit displays a sampling of what divers found. Learn more about engravings and illustrations of early Virginia Indians by exploring "Early Images of Virginia Indians: The William W. Cole Collection." Purchase First People: The Early Indians of Virginia from our museum shop. On September 17, 1997, the Virginia Historical Society unveiled The War Horse, a memorial to the horses and mules killed during the Civil War, designed by Tessa Pullan of Rutland, England, and given to the historical society by Paul Mellon of Upperville, VA. 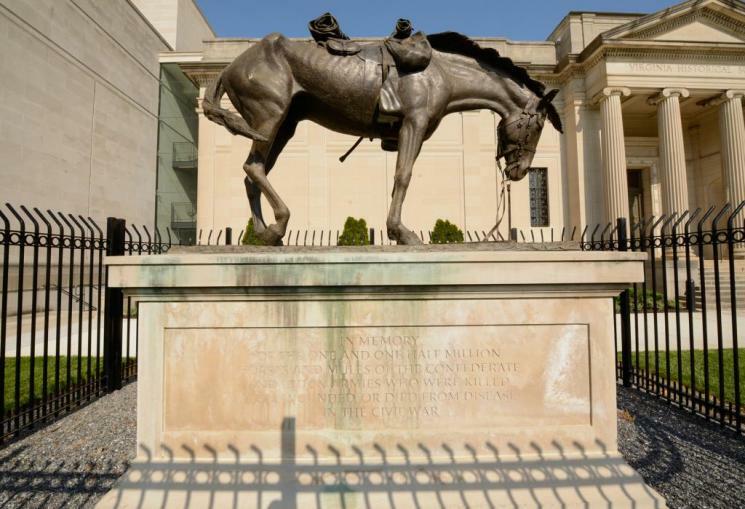 Mounted on a six-foot base, the life-size bronze sculpture is on display at the Boulevard entrance to the Virginia Museum of History & Culture. Virginia Voices is the first state-specific, crowdsourced film of its kind. 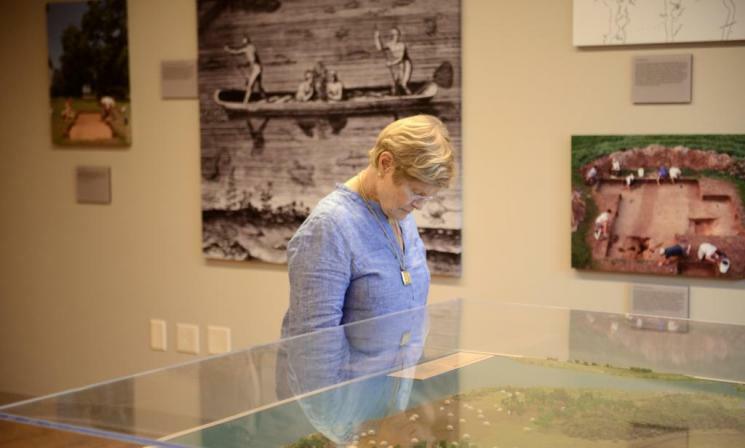 For more than a year the Virginia Historical Society collected stories from people in more than fifty locations across the commonwealth. The resulting film is a snapshot of Virginia as told by the people who live and work here. 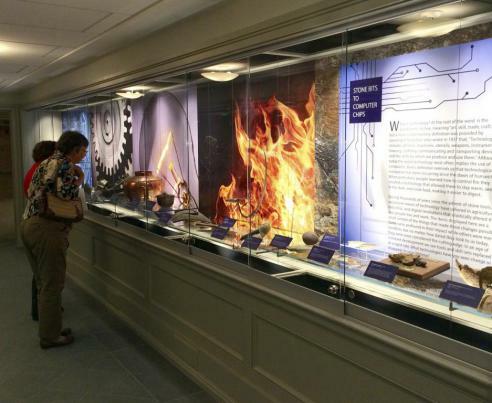 Virginia Voices (22 minutes) is shown daily at the Virginia Museum of History & Culture in the Robins Family Forum. The film was a fully funded project of the Virginia Historical Society’s wider Story of Virginia Campaign, a $38 million effort to expand, enhance, and renew the society’s presence both in Virginia and across the nation. Virginia Voices was produced by Orange Frame using archived footage in the collection of the Virginia Historical Society and based on an earlier film by BPI that premiered at the Virginia Historical Society (now the Virginia Museum of History & Culture) in the spring of 2015.